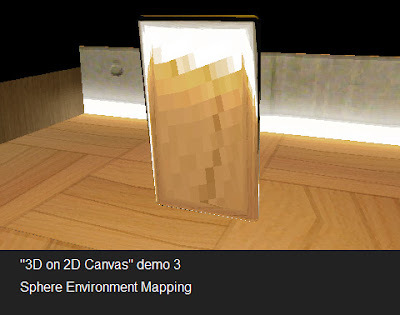 This is his first demo which shows 3D textured by Canvas. You can click on the cloth to make it waved. 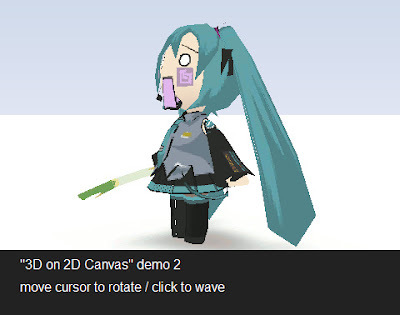 The 3D Miku is OO-style implemented as an object which has swing() method. This means she swings green onion in her hand when swing() method is called. Click on her. She wears hundreds of polygons. 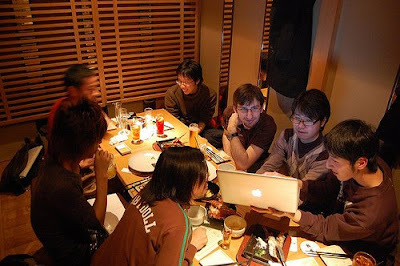 The demo was created for Paul Bakaus, jQuery UI lib's lead, visiting Japan. You may find the all demos above have the same width as 480px. Yes, it is definitely same as the horizontal viewport size which iPhone and iPod touch have. Now you can see iPod touch displayed on your iPod touch by the demo #3! 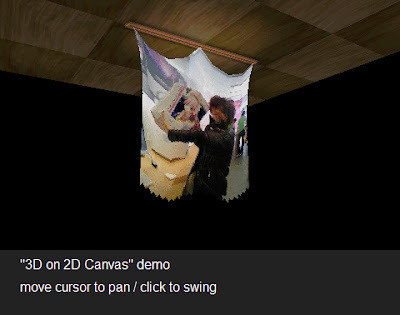 But the most important point of the demo is not its width. You need to see behind of it. He also implemented the reflection mapping feature on his lib. You can see Google Chrome runs all demos much faster than any other browsers. It has a great rendering engine named Skia. CPUs are already enough fast to calculate most things, you know, and now JITs are implemented as well. 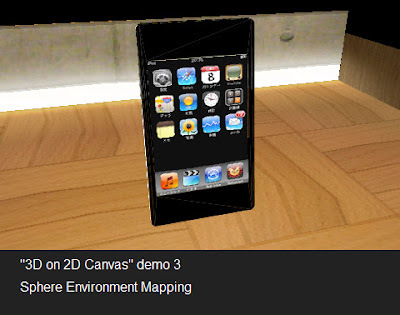 But canvas renderers admit of their performance. Skia is special. Safari is also fine. Firefox, 3.0 and 3.1 JIT-ed, are seem to be slower, unfortunately. We don't have to say that IE have no capability to run these. Gyuque runs several benchmarks to describe Skia has significant advantage on its canvas rendering engine. Original of this post was written for my Japanese blog. You must see more detail on gyuque's post.